KHSOD competition team is dedicated to building great dancers who will be taught a healthy approach to Competition. The team averages 2-3 competitions a year. Dancers interested in competing with KHSOD must audition to be accepted to the team. Once accepted, they are scheduled to take Ballet, Contemporary, Jazz, Lyrical and Tap classes. Our Dance studio has 5 teachers on staff, most of whom work with the competition team building their skills. We accept dancers as young as 5 and as old as 19 to the team. In addition to the classroom work, our competition dancers attend conventions periodically throughout the year. Join our Adult Competition Team! 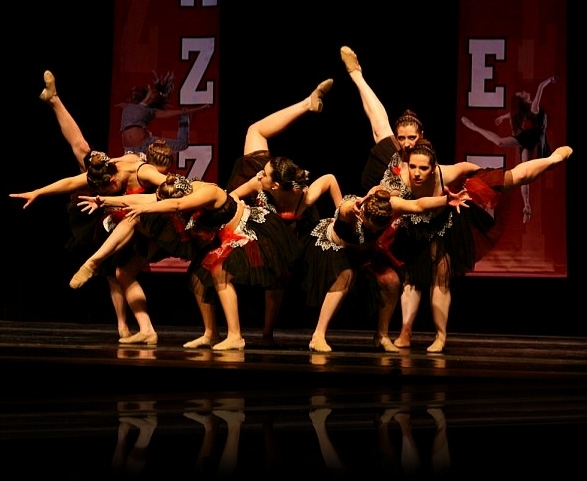 Recreational Dancers range in age from 3 to Adult and are Beginners to Advanced Dancers. Dancers in the Recreational Dance program train to participate in our Annual Dance Concert at the beginning of June. You can take as many or as few classes as you like and our class schedule is conveniently blocked so that dancers can take more than one class on one day and have the classes occur back to back. This makes scheduling dance for your student very convenient. This program benefits all who are interested in dance and want to participate without the large commitment of the competition team. With 5 teachers on staff we offer a wide variety of classes for all skill levels that are held at convenient times throughout the week. The goal of the Pre School program is to introduce our young dancers to the art of Dance. Kathy Hansen School of Dance is committed to providing quality dance instruction in a safe and family oriented environment. Our goal is to educate students who appreciate the arts and are prepared for the future. 2. 3 different programs to offer dancers the training best suited for them, including Pre School Dance for younger dancers, Recreational Dance for all ages, and Competition Teams. 3. Customize your dance lessons to work with your busy schedule, we offer 31 classes per week. 4. 2 classrooms with wood floors and 5 friendly, experienced teachers. 5. Annual Recital, held in a new theater, for all dancers. No admission fee! 6. Our Dance Studio offers personal care and attention to dancers and their families.